The money is in the list. Whether your list is a list of RSS subscribers or email newsletter subscribers it pays to have an audience of readers eager to eat up the great content you produce. The following tips are targeted towards email marketers, but are also useful for any bloggers who are looking to significantly grow their subscriber base. This technique is being implemented with great success by internet marketer Yaro Starak on his blog Entrepreneur’s Journey. Having a video is a great way to show people who you are and literally tell them to subscribe. 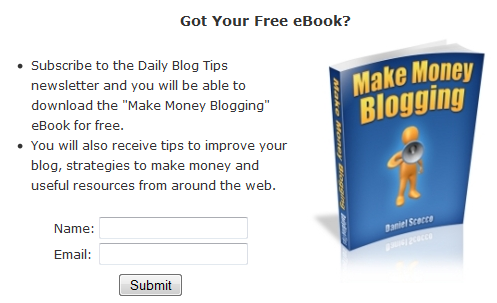 I noticed this tactic is being used by bloggers such as Daniel Scocco of daily blog tips. Using this strategy guarantees that all readers of your blog content will see your sign up form. 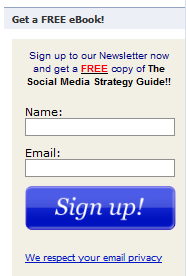 Another strategy is to include your subscribe form in the sidebar of your blog so that it is ubiquitous on your site. In his post: How to Drastically Increase Subscriber Numbers to Your Email Newsletter Problogger Darren Rowse advocates using a lightbox to drastically increase signups. I use this strategy myself on my personal blog and despite thousands of impressions I have never received a complaint. AWeber has a great form building tool that makes building and installing lightboxes easy. I recommend selecting the option for your lightbox to show only the first time someone visits your page. Using the facebook app static fbml you are able to include html into the sidebar of a facebook page, or into a tab. As long as your form is HTML, you will be able to install it into your page using the static fbml app. You can also add a sign up form to the sidebar of your personal Facebook profile using the app profile box. There are a few different ways you can track the success of your web form. You can use Google analytics to track traffic and conversions of course, and if you use AWeber, their forms have tracking built in. Small changes in form design can drastically change conversion rates, so test and test again to get the form that works best! Ask people to sign up to your newsletter at the bottom of every email you send. 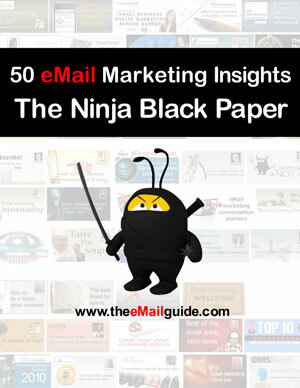 Here at The eMail Guide we send a free copy of an email marketing “black paper” we produced called “50 Email Marketing Insights” to everyone who signs up to our newsletter. Some people offer e-courses or video tutorials instead. The higher the quality and the relevance of the content you offer for free, the more likely people will be to subscribe. 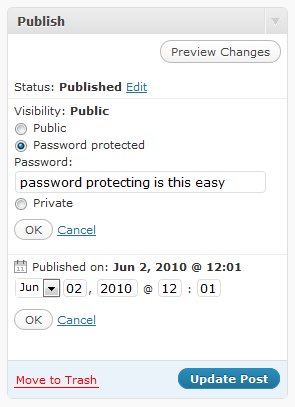 If you have a WordPress blog it is very easy to password protect a page. See the screenshot that shows you exactly how this is done within the “Publish” sidebar box within WordPress. According to a Blue Sky Factory post: The top 5 ways to generate and retain opt-in subscribers, “the best way to get a new subscriber and keep an old subscriber (according to 1,400 email subscribers) is to keep their information sacred.” So keep this in mind and write a reassuring line or two within your sign up form reassuring your subscribers that you respect their privacy. At The eMail Guide we have a monthly contest that all of our subscribers are automatically entered into a monthly contest to win a $50 Amazon gift certificate and a Seth Godin action figure. Affiliate Marketers like Shoemoney use this tactic all the time. The screenshot below shows John Chow trying to market me the shoemoney system. Shoemoney is leveraging John Chow’s list. If you can seek out partnerships with like minded marketers you too can leverage someone elses list and drive traffic and subscribers your way. 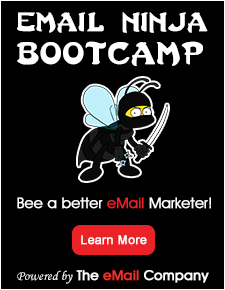 Yanik Silver is an internet entrepreneur who uses a footer form to capture leads. I checked the source code and Yanik uses Aweber for this form. You’ve probably heard it before, because the statement is true: content is king. If your newsletter is great it will probably be forwarded to friends. Make sure that you can convert this traffic into new subscribers by including a subscribe link within your newsletter. Ask and you shall receive. This marketing technique works not only for new subscribers, but also for cross promoting any other community. Try sending out a tweet telling people to join your Facebook page, or a status update telling people to follow you or tweet about your newsletter on Twitter. 15. 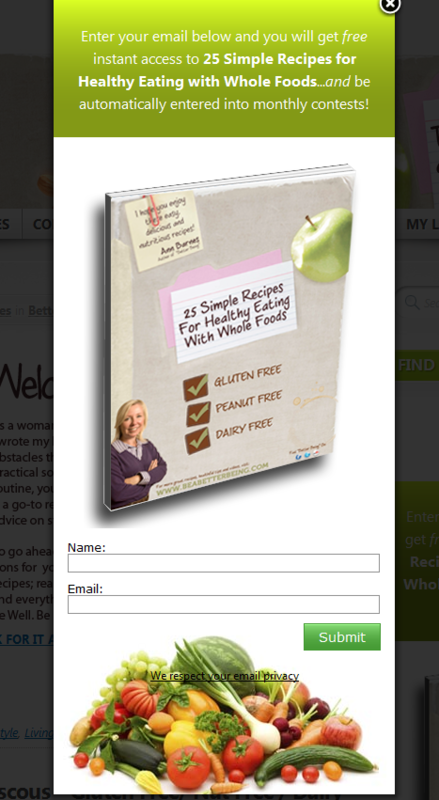 Sign up for The eMail Guide newsletter! 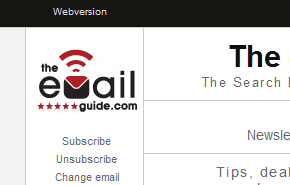 Here at The eMail Guide we are constantly monitoring the email marketing industry, and by signing up for our newsletter you will be the first to know about Email Marketing tips and tricks that will help you build your subscriber base and keep your readers happy! Takeaway: Content is king but, the gold is in the list. 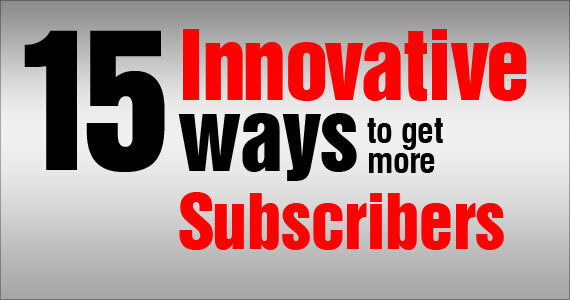 Which of the above tips do you think is the most powerful for driving new subscribers? What are some other strategies you use to drive new subscribers? Profile: A little bit about me: I am a proud new dad, and just finished writing a Twitter Tools book: How to Harness the Power of Twitter and Twitter Tools: http://twittertoolsbook.com. Once you buy this book you will receive all additional updates and resources for free! Some of my favorite things are social media, fitness, technology, and writing, hockey, and running. I enjoy most sports and the outdoors. Traveling is a passion of mine and I have been to California twice in recent history, Florida, Cancun, and the Dominican Republic. I hope to add to this list extensively and travel the world. My personal blog is GarinKilpatrick.com, and I own interawesome.com and facebookflow.com. Very insightful tips. Thank you for sharing. I read lists like this all the time and it was a real nice touch adding examples that are being used right now. Glad you liked the post! :) I tried to keep it as relevant as possible.